Alright, so things didn’t really go to plan. 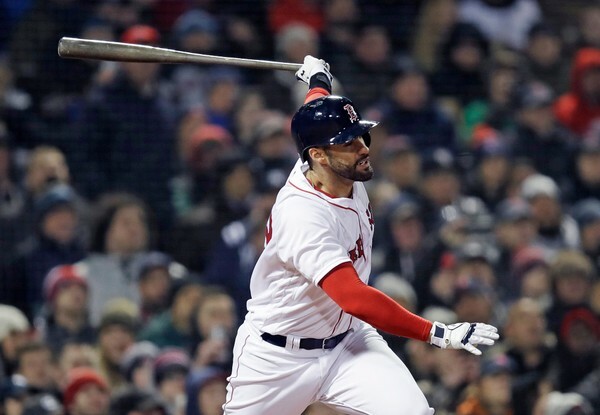 The Red Sox got behind the eight ball early in all four games. Every starter gave up five or more runs in Seattle, and the Sox offense couldn’t recover. However, this isn’t the end of the world. Not even close. 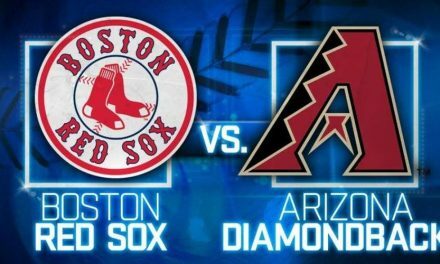 Things didn’t start well for Boston, but heading to Oakland and then Arizona, I see this team getting themselves back on track. Despite the nightmare-ish series in the Pacific Northwest, there was some good things I saw from the team. The strong suit was supposed to be the rotation, which was supposed to carry the bullpen. Through four games, Chris Sale, Nathan Eovaldi, Eduardo Rodriguez & Rick Porcello have combined to give up 22 earned runs on 28 hits. This is not good. However, in those four games, the bullpen was the one carrying the load. The bullpen had to pitch 18 innings against Seattle, with the relievers posting a combined 2.50 ERA. We got what we expected in the lone appearances from Matt Barnes and Ryan Brasier, both posting scoreless, solid innings. The lefty, Brian Johnson, made three separate appearances and did great work eating up innings while only giving up a single run. Tyler Thornburg wasn’t a complete disaster in his second appearance, tossing two strikeouts in a shutout inning. 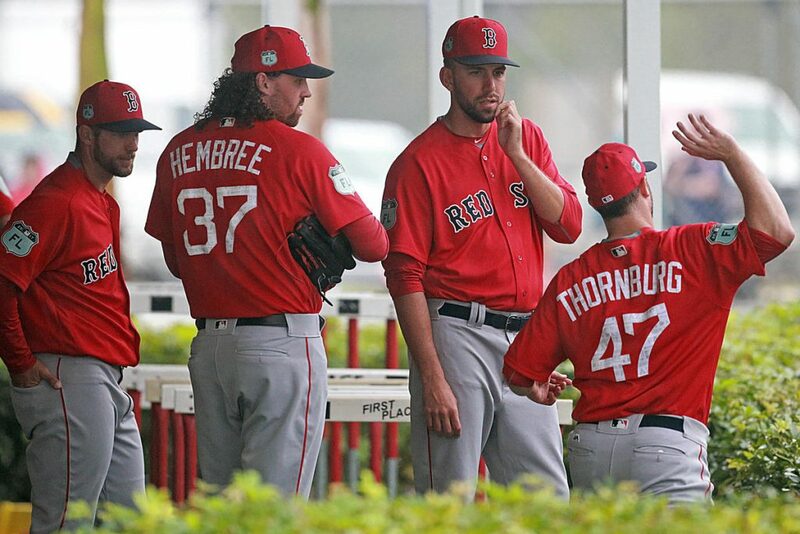 Heath Hembree and Brandon Workman were both fringe guys coming into the year, but both came out firing with scoreless outings of their own. The biggest surprise, might be Colten Brewer. The only addition to the Sox pen this offseason, Brewer pitched way better than expected in his two games. He posted four strikeouts and gave up just one hit while allowing zero runs, and his stuff looked good. Obviously the sample size is extremely small for the bullpen, but with how everything else went in Seattle, this bullpen could’ve really blown up. There was an immense amount of pressure in all four games. They were charged with the task of keeping a game close that was blown open early, and they did just that. Again, the sample size is certainly small for Rafael, but early returns on Devers are looking good. He looks slimmer, his swing looks much more crisp and his eye looks to be improving. While his weight was never an issue, he is noticeably thinner this spring. 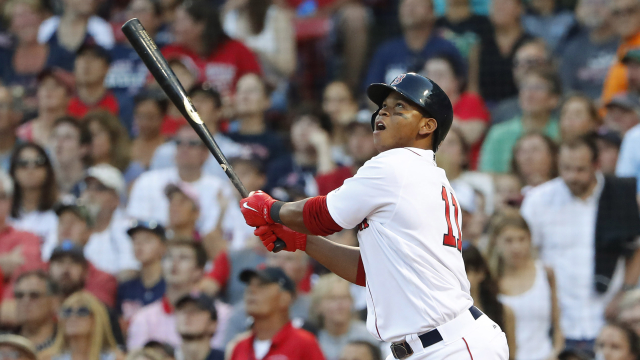 Devers looks to have realized that losing a few pounds will make playing third a little easier on himself, and it also looks to be helping with his approach at the plate. Through four games, Devers has six hits in 17 at-bats (.353) including two walks for an OPS of .892. That OPS is slightly unattainable for Devers, but he absolutely can keep a pace similar to this up. There is no reason to believe Devers can’t hit close to .300 and OPS close to .850. He only has three strikeouts to his two walks in 19 plate appearances, looking to have added some restraint to his plate approach. While he doesn’t have any old fashioned stats (0 home runs, 0 runs batted in), he certainly has provided us with something to be excited about. He appears ready to take the next step in his career, and may be on his way to hitting 40 doubles this year. Devers doesn’t seem as eager to swing, which is a good thing for how he is pitched. He has waited for a pitch he likes, and he’s driven it. The defense does need to improve still, it appears there are still some holes there, but Devers will come around defensively. Until then, he seems to be putting it together offensively. The adjustments he made to his approach this offseason should continue to pay huge dividends for him and the team. Unfortunately, things haven’t started off like 2018 for the Red Sox. They lost three out of four and gave up a ton of runs in all four games. It was great though, to see the fight in this team. . 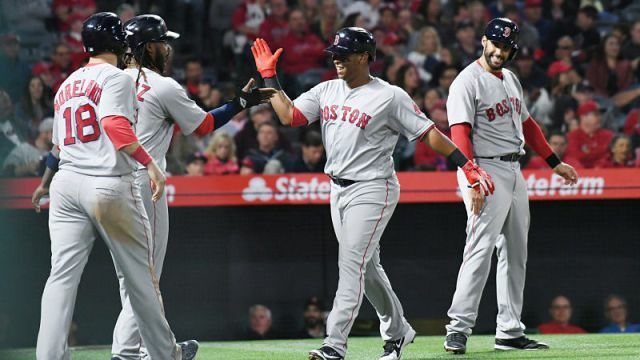 Even in the worst of starts, the Red Sox lineup still had the heart to go out there and try and get the job done. 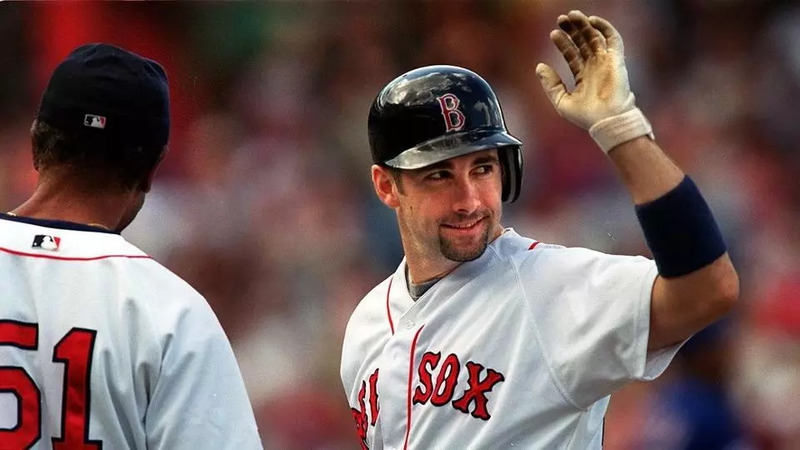 Obviously, they did only get the job done in the second game, but in both the third and fourth game the Sox mounted sizeable comebacks to put the pressure on the Mariners. It started Friday night, in the second game. Nathan Eovadi’s first start of 2019 didn’t end well, and the Sox trailed 6-1 in the fifth inning. The team battled all the way back to win 7-6. If it weren’t for home runs J.D. Martinez, Christian Vazquez AND Mitch Moreland, the Sox are getting swept. Luckily, that’s not the case. The lineup was persistent, battled back, and rewarded the bullpen for their effort by posting a six run comeback. In the words of Brock Holt‘s mom, “Way to go Mitchy!”. Now they didn’t win the third or fourth games, but they did show some resiliency in those games as well. They trailed 6-2 in the third game, but rallied in the ninth against the Mariners bullpen for three runs to put the pressure on Seattle. Then again yesterday, Rick Porcello put the team in a tough spot down 9-3 after the third inning. After the weekend the team had, the lineup and bullpen easily could’ve rolled over and died. They did not though. They fought and rallied and brought the game all the way back to a two run game, and had a chance to tie it with JBJ at the plate. I’m not one for moral victories by any means, but seeing the fight in this Red Sox lineup to not give up on games this early in this season is impressive. 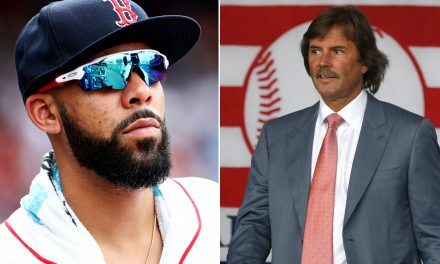 For a team coming off a World Series championship they easily could have folded on all four games, not made any effort to come back and just slowly worked there way into the season. However, even though they lost three of four, they at least have some building blocks to begin to get this season in track. 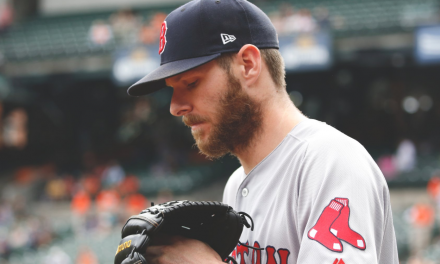 Can Chris Sale Become the Legend Pedro Martinez Was in Boston?